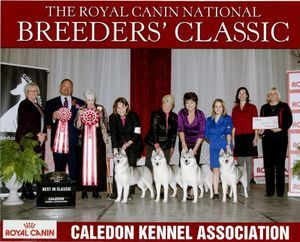 Here are the breeds recognized by the CKC in the Working Group. At the bottom see some of our club members with their Working Dogs. 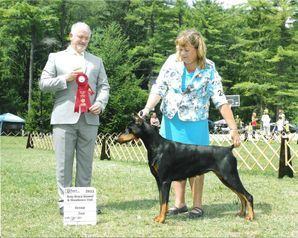 Club Member Elizabeth Numbers showing her homebred Doberman Pinscher "Prada" (Ch. Hausenbrook's Designed to Charm) to a Group 2nd placement. 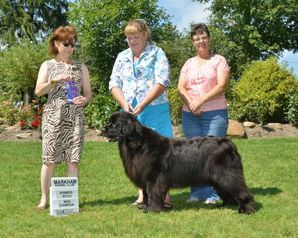 Club member Elizabeth Numbers showing Newfoundland "Fern" to her Canadian Championship August 2012. She is is the much loved pet of Chris and Glenda Alderson (Club members, Glenda pictured on right).